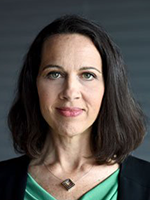 Melanie Nezer is HIAS' Senior Vice President, Public Affairs, responsible for planning, directing, managing and implementing strategies that successfully represent and connect HIAS externally, and optimize its impact. She oversees the departments of Communications, Community Engagement, Development, and Policy and Advocacy. Melanie also has served as HIAS' Vice President, Policy and Advocacy and, previously, as Migration Policy Counsel and Director of the Employment Visa Program, representing at-risk Jewish professionals and religious workers seeking to work in the U.S. during times of instability and crisis in their home countries.